When considering all of its applications, Palomino Fino probably doesn't really qualify as a fringe grape. It is, after all, the main grape in Sherry production and covers over 28,000 hectares throughout Spain. 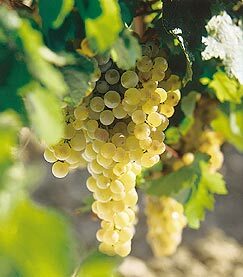 At one point in time, Palomino Fino was one of many (possibly as many as 100 according to Julian Jeffs) different grapes used in Sherry production, but now it is by far the most important and most widely planted of three grapes authorized for use in Sherry accounting for 95% of plantings (Pedro Ximenez and Moscatel, both used exclusively for sweet Sherries, being the other two). 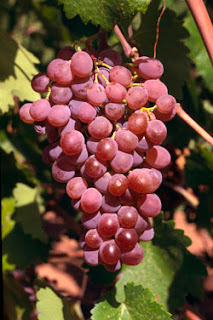 There are three different Palomino grapes: Palomino Fino, which is considered the finest of the three and which I will refer to simply as Palomino in this post, Palomino Basto and Palomino de Jerez. Palomino is known in France as Listán, as Perrum in Alentejo, Portgual, and as Fransdurif in South Africa. For many years, the Palomino grown in California was misidentified as Golden Chasselas. There are also minor plantings in Australia. Acreage has been falling steadily pretty much everywhere outside of Jerez and the Canary Islands, where it is the primary white grape. The grape is thought to be native to Andalusia (the broader region of Spain that contains the Sherry Triangle) and was supposedly named after one of King Alfonso X's knights. The vine is susceptible to downy mildew and anthracnose, or canker. It is high yielding, producing about 80 hl/ha without irrigation and can reach as much as 150 hl/ha. Palomino vines in Spain are used almost exclusively in the production of Sherry, but it's that almost that we're concerned with here. Increasingly, many Sherry bodegas are offering dry table wines vinified from Palomino grapes. One of the reasons for this is economic. Sherry takes a long time to make, from several months to several years depending on the style. The market for Sherry has declined a lot over the past few decades so rather than use the grapes to create a product they will have difficulty selling many years down the line, many bodegas are opting to create table wines which can more easily be sold immediately. One of the problems, though, with using Palomino for table wines is that the the skins of Palomino are extremely thin, so the grapes must be harvested by hand. To compound matters, the grapes are also naturally very low in acid and the juice has a tendency to oxidize very easily which, when coupled with the thin skins, means that the grapes must be rushed from where they are picked to a crusher as soon as possible. These flaws are actually virtues in Sherry production, but they make life difficult for the winemaker looking to make table wines from them. I was able to find a bottle from Barbadillo, who was one of the first Sherry producers to produce a table wine from Palomino grapes. The bottle was from the 2008 vintage and cost a whopping $7.50. For some reason, the bottle is labeled "Palomino Fina," rather than Fino, and I'm not entirely sure why. In the glass, the wine had a pale straw color tending to gold. The nose was reserved with some green apple and almond scents and not much else. The wine was medium bodied with low/medium acidity. There was very little fruit here; a touch of green apple and not much else. It had a slight nuttiness to the finish that was somewhat reminiscent of a Fino Sherry. It was very clean with a chalky kind of minerality to it that was very refreshing, if not tremendously interesting. Oz Clarke writes that Palomino is "one of the dullest grapes in the world," and I can kind of see his point. This is a wine that has its place at the table: it would be a nice aperitif and would also go well with raw shellfish, but it wouldn't be the first bottle I reached for in either of those situations. The low acid really limits your food options here. If you've only got about $10 to spend, it's certainly a serviceable wine, but it's definitely not going to blow you away and considering the wealth of options available these days in the $10-$15 range, your money is probably better spent elsewhere. Please see this more recent post for a tasting note of an amazing Canary Islands wine made from Listan Blanco, AKA Palomino. When I first started this blog, I thought that Greece would be one of my all-star countries. Greece is home to quite a few grapes that are grown only there and nowhere else. It has proved difficult, however, not only to find Greek wines, but to find good examples of Greek wines. Slowly but surely, though, I've been accumulating wines made from these interesting Greek varietals, one of which is Roditis (also spelled Rhoditis by some producers). Roditis (pronounced row-DEE-tis, apparently) is a pink-skinned grape whose name comes from the Greek word "rodon" which means rose. It is usually blended with Savatiano in the production of that Greek curiosity Retsina. Its home is in the northern part of the Peloponnese region of Greece, particularly around the port town of Patras. Patras, the capital of Western Greece, is the third largest metropolitan area in the country and is thought to have been settled sometime in the third millennium BC. There is a legend that Julius Caesar wooed Cleopatra with wines from Patras. The highest quality Roditis is grown on the north-facing slopes located above the city at altitudes between 200 and 450 meters where the vines are somewhat protected from the hot Mediterranean climate of the region. Greece has a two-tiered appellation system similar to France's (on some of the bottles, including the one listed below, the French language is used for the appellation terminology). The two levels are: "Controlled Appellation of Origin," which is used almost exclusively for sweet wines, and "Appellation of Superior Quality" which is roughly equivalent to the AOC of France. The hillside vineyards above the city of Patras are entitled to use the "Appellation of Superior Quality" designation, though as of 1990, there were only about 1,350 acres that qualified. There was a time when Roditis was widely grown all over Greece, but, as happened frequently, Phylloxera took care of all that. Roditis is extraordinarily susceptible to oidium, or powdery mildew, so when their vineyards were decimated by the phylloxera louse, many growers opted to replant with hardier, more disease resistant vines. For all of its devastation, phylloxera offered many wine growers a chance to start over completely and many growers took advantage of the bad situation to fill their vineyards with varieties that would require less maintenance and produce more fruit. Luckily, there were many growers who did not want to see their native and traditional varieties lost forever. 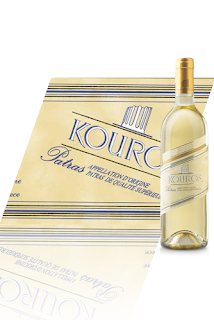 The bottle I picked up was the Kouros bottling from the Kourtakis winery (who uses the Rhoditis spelling) for about $7. The vintage on the bottle was 2007, which, from what I can tell, is a bit too old to get a full sense of what Roditis tastes like. It's the only bottle I've been able to find, though, so for now, it's all I've got to go on. I will certainly provide an updated tasting note if I'm ever able to find a bottle with a more recent vintage. In the glass, the wine was a pale, silvery straw color, which was a good sign that the wine hadn't aged to the point that it was going to be undrinkable. There was a kind of cheesy, leesy aroma on the nose along with red apple, ripe pear, green herbs, and a touch of vanilla. This wine is fermented in 100% stainless steel tanks, but even so the aroma reminded me of a lightly oaked Chardonnay. On the palate, the wine was medium bodied with high acidity and creamy pear, lemony citrus and grapefruit peel. There was a slightly nutty, roasted hazelnut kind of flavor as well, though it was wasn't very pronounced. The acidity really kept this wine alive despite its relatively advanced age. For the money, it's a nice white wine that would be good with light chicken dishes or grilled fish or anything you might pair an unoaked or lightly oaked Chardonnay with. In my mind, Rioja is to Spain as Chianti is to Italy. If you asked most people to quickly name one wine from Spain and one from Italy, I would bet that a large majority would instantly name those iconic wines, and for good reason. 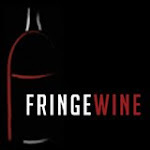 Both areas have a long wine making history and are not only readily available in almost every shop that sells wine, but good bottles can be had for reasonable prices as well. 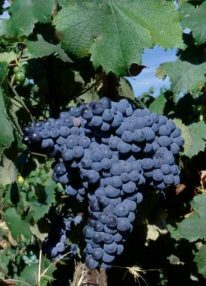 They both also feature what might be considered each country's "star grape:" Tempranillo in Spain and Sangiovese in Italy. Of course, the analogy isn't perfect. Chianti has much stricter regulations regarding what grapes in what proportions can go into its wines and still be eligible for the Chianti classification (there is also no white Chianti while Rioja allows for white wine production). There are regulations in Rioja also, but only for the allowed grape varieties, not the proportions (and even then I believe that wineries can appeal for special permission to include grapes like Cabernet Sauvignon). What this means is that it is possible to end up with a 100% varietal bottling from any of the approved red wine grapes within Rioja: Tempranillo, Garnacha (Grenache in France), Mazuelo and Graciano. Those first two grapes are familiar enough, and Mazeulo is the local term for Carignan, a grape grown in many regions all over the world, which brings us to Graciano. Graciano is thought to be native to Rioja, where it is used to provide color and aroma to blended Rioja red wines (Oz Clarke's comparison to how Petit Verdot is used in Bordeaux is an enlightening analogy). Typically, it makes up less than 15% of the blend when it is used at all. It can also be found in neighboring Navarra. Graciano was once very widely grown in the Languedoc-Roussillon region of France where it was known as Morrastel (which can be confusing, as Morrastel is a Spanish synonym for Mourvedre) but it was uprooted in the late 20th century in favor of hardier, more productive varietals, especially something called Morrastel Bouchet which was a crossing between Graciano and Petit Bouschet developed by Henri Bouschet . There is some grown in Australia, where it is known as Morrastel (though some of this may be Mourvedre as well), and some grown in California, where it is known as Xeres. It is thought that Portugal's Tinta Miúda may actually be Graciano. One might be inclined to think that Graciano has been relegated to blending grape status because it is an inferior grape. In fact, Oz Clarke says that it is "far and away the most interesting red vine in Rioja," and Jancis Robinson writes "it is to the Riojanos' shame that so little Graciano survives in their vineyards today." If the wine is so good, then why, as recently as 1999, was vineyard acreage so low that the Spanish government was giving subsidies for planting Graciano in Rioja vineyards? The answer is that Graciano is notoriously low-yielding and susceptible to downy mildew, which means it needs more attention in the vineyards. It's an economic decision that it's hard to find fault with on a large scale. If two vines take up the same amount of space in the vineyard but one produces considerably more fruit and doesn't require as much maintenance, then why would you bother with the one you have to spend more money maintaining and get fewer bottles of wine from? Fortunately, the fine wine boom of the past twenty years has encouraged more producers to devote more time and resources to cultivating Graciano. Many producers are letting Graciano be the sole star of their wines, producing 100% varietal Graciano wines. I was able to pick up a bottle produced by Vinos Sin-Ley, which is an interesting organization that you can read more about here. The bottle I picked up was the 2008 Traza Gra 2 which I got at Vino Divino in Brookline for about $16. In the glass, the wine was inky black almost all the way out to the rim with very intense saturation. The nose was a little reserved with black fruit flavors like blackberry preserves, black plums and blackcurrant. On the palate, the wine was medium/full bodied with high acid and plush tannins. There were flavors of dark chocolate, espresso, smoke, charcoal, blackberries, blackcurrants and black cherries. This is a dense, intensely packed wine full of dark fruits and earthy flavors that is nicely balanced by the high acid content. This was a little tight right now and could probably stand a little more time in the bottle, but Graciano is generally known as a wine that does not benefit from extended bottle age so a year or two tops should help unwind this a bit. I love wines from the Piedmont region of Italy. If I had to choose only one wine to drink for the rest of my life, it would almost certainly be good Barolo. I also love the diversity of the Piedmont area. There's Nebbiolo for when you want something deep, intense and serious; Barbera when you want something a little juicier and friendly; Dolcetto when you want something even softer and simpler than that; Moscato d'Asti when you want a sweet, light refreshing bit of fizz; Brachetto when you want the same kind of experience from a red grape; Arneis when you want a full bodied white wine; Erbaluce when you don't. Most of those varieties are relatively accessible to the US consumer, and several of them will be the focus of future posts here. And then there's Grignolino. This grape is native to the Monferrato Hills of Piemonte between the two towns of Asti and Casale. There are three DOC regions: d'Asti, del Monferrato Casalese and Piemonte. Aside from a patch grown by Heitz Cellars in California, as far as I can tell, the grape is not grown anywhere else in the world. Even in Piemonte, acreage devoted to this grape is limited and, consequently, there isn't much Grignolino produced. 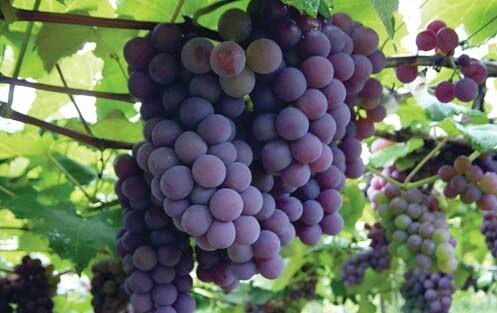 The grape is difficult to ripen fully and is prone to millerandage, which is when grape clusters ripen unevenly either across the vine (with some clusters being ripe and others very underripe) or within individual clusters (with some grapes within a cluster being fully ripe and others underripe). 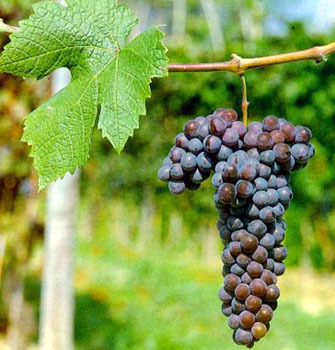 The wines produced from Grignolino also tend to be very tannic due to the higher numbers of seeds in the grapes. Most wine grapes have two seeds per berry but Grignolino has three. In fact, the name Grignolino means "many pips" in the local dialect. High tannins are usually forgiven in a wine with enough fruit flavors to wrap around them, but Grignolino is a bit deficient in that respect as well. The wines tend to be lightly colored and can resemble rough-edged ros és more than full-bodied red wines. Quality varies wildly between producers as well, for a few reasons. The grape is very strongly influenced by the type of soil it is planted in so different vineyard sites tend to bring out different qualities in the wine. Additionally, there is a great deal of clonal variation in the Grignolino family, which can produce differences in the finished product across producers. Grignolino is referred to as an "unquestionably local taste" by the Oxford Companion to Wine, but lately, even local tastes for the wine have been waning, and many producers are pulling up their Grignolino vines in order to plant more user-friendly, crowd-pleasing grapes. The two major DOC regions producing Grignolino (Asti and Monferrato Caslese), produce just over 150,000 cases between them, and those numbers are on the decline. In short, this is the kind of wine that is virtually impossible to market successfully to American drinkers since it doesn't really conform to the so-called "international palate" and since quality is so variable, so most of the wine that is produced within Piemonte is consumed locally. 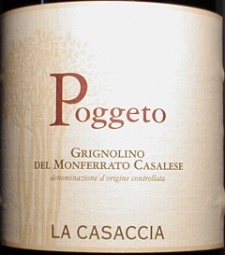 I was fortunate enough to pick up a bottle of the 2008 La Casaccia Pogetto Grignolino del Monferrato caslese at Bin Ends for around $16. The wine is very pale salmon color in the glass with an onion skin rim, resembling a rosé more than a red wine. My entire tasting note for the nose on this glass was "dumb nose...extinct...nothing." On the palate, the wine was surprisingly medium bodied, given the pale color, with very high, rough tannins and high acidity. There were some light cherry and red berry fruits, but for the most part, this was pretty austere. A good comparison would be to think about a Barolo that some terrible person had removed most of the fruit and aroma from. It has the same kind of structure as Barolo, but none of the ornamentation that makes Barolo or Barbaresco such a delight to drink. As far as food is concerned, something with this kind of tannin and acidity just begs for some kind of protein. I might be inclined to try it with a rich stew or something kind of rich and mouth coating for the tannins to grip onto. I would avoid grilled meats, other than perhaps salmon, with this because it just doesn't have enough density to stand up to something quite that strong. It's a very interesting wine that I'm very glad I got to try, but I can't really imagine a scenario where I find myself wishing I had a Grignolino to go with dinner. I was recently able to pick up a bottle of Sparkling Grignolino from one of the state stores in western Pennsylvania. The wine was a non-vintage, tank-fermented (Charmat method) sparkler from a producer called Montalbera Bollcine, who I understand operates mostly around the Monferrato region in Piemonte (this wine is definitely non-DOC, so no appellation is listed other than the winery's address). The wine was called "Roseus," and it retailed for about $16. In the glass the wine was a very pale orangey-salmon pink color with steady bubbles. The nose was fairly intense with green apple, strawberry, and stone fruits with something vaguely rosy and floral about it. On the palate the wine was on the lighter side of medium with high acidity. It was lean and sharp with some biscuitty, shortbread flavors along with some apple, citrus peel and raspberry fruits. It finished with a clean but bitter kind of taste that reminded me of tonic water (quinine). This is a fairly non-traditional sparkler that I found really interesting, and fairly enjoyable. I liked it much better than any other Grignolino I've ever had, so maybe adding some bubbles to it helps to soften its sharp edges. Valdiguié suffered for many years from a case of mistaken identity. For a long time, growers in California were cultivating and selling what they believed to be a clone of the Gamay grape used in Beaujolais under the name "Napa Gamay," or sometimes just plain old "Gamay." In 1980, Pierre Galet, a French ampelographer, determined that what had been called Napa Gamay was actually Valdiguié. Genetic testing later confirmed Galet's diagnosis, though it took the US government another 19 years to ban the Napa Gamay moniker. Valdiguié grapes were still allowed in wines labeled "Gamay Beaujolais" produced in California until 2007. Valdiguié also has a host of synonyms in its home country of France: Valdiguer, Cahors (not to be confused with the region Cahors which makes wine from the Malbec grape), Gros Auxerrois, Jean-Pierrou at Sauzet, Quercy, and Noir de Chartres. Now it seems that Valdiguié, what little of it is produced, is finally flying under its own banner, in California at least. Valdiguié has never been considered a noble grape variety. It was first commercially propagated in France in 1874, though its history prior to that is unclear. There are three conflicting accounts of Valdiguié's original cultivation all revolving around three different gentlemen with the last name Valdiguié. At one time it was a workhorse grape in Southwest France due to its high yields and resistance to powdery mildew. Overproduction was a problem, though, and the wines were not considered to be very good. Plantings in France have declined precipitously so that there is virtually no Valdiguié left. In 1958 there were over 4000 hectares devoted to Valdiguié, a number which shrunk to fewer than 300 hectares in 1988. I haven't seen any figures more recent than that, but most of what I've read indicates that it has probably dropped below that figure as well with the few lingering patches mostly located in Languedoc and Provence. Valdiguié made its mark in the United States following the repeal of prohibition. It was popular with growers in the US for the same reasons it was popular with growers in France: high yields and disease resistance. There were over 6000 acres devoted to Valdiguié as late as the 1970s, but total plantings are currently estimated at lower than 1000 acres. Much of what is bottled as Valdiguié in California is vinified the same way that Gamay is vinified in Beaujolais. Carbonic maceration, the technique where whole grape clusters are fermented prior to crushing so that the fermentation happens within the grape skins, is the preferred process, producing wines that very closely mimic Beaujolais wines. For a grape with such limited plantings, Valdiguié can be surprisingly easy to find. 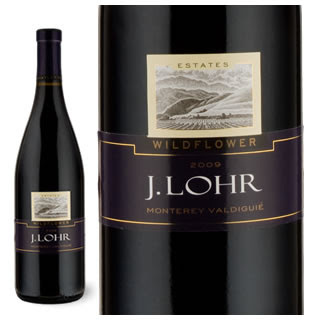 J. Lohr produces a varietal Valdiguié bottling called "Wildflower" which is readily available in many wine shops. They source their grapes from the Arroyo Seco region of Monterey County, California. They actually only use carbonic maceration for about 20% of the crop with the rest vinified in the traditional method in stainless steel tanks. I picked up a bottle of their 2009 offering for around $10. The color was a bright, purply magenta color, though it didn't have a lot of saturation. On the nose there were aromas of cranberry sauce, tart cherries and raspberry jam. The wine was medium bodied, though it felt a little thin on the palate, with medium acidity and very light tannins. "Fresh red fruits" really encapsulates the flavor profile of this wine with light red cherry and cranberry flavors along with some fresh raspberry as well. It's a pretty simple wine, but it's also very enjoyable and easy to drink on its own, though it would be a great match for poultry and light pork dishes as well as some heavier fish. It would be a great wine to serve at Thanksgiving. It is definitely for fans of Beaujolais wines or any soft, fruity, juicy red wines. This is a wine to drink young, as it doesn't really have the structure to endure very much aging. Italy has proven to be very fertile ground for this blog. Sure, most Italian wines you find in your local shop or at your local supermarket probably feature Sangiovese or Nebbiolo or one of the "international" varietals, but if you do a little digging, you'll start to find that there is a staggering range of wines coming from areas of Italy outside of Tuscany and Piemonte. There are an estimated 800 distinct grape varieties found in Italy, half of which have been authorized for planting by Italy's Ministry of Agriculture and Forestry. 400 grape varieties authorized for use in Italy, with another 400 possibly sneaking in in some blends. Most of those grapes are grown only in a very small region of Italy and nowhere else in the world (much like Sagrantino and the small Umbrian village of Montefalco). I could have focused this blog exclusively on Italian wines and probably had enough to material to last a few years. Today's grape is Lacrima, or, more specifically, Lacrima di Morro. There is also a grape called Lacrima Nera, which is better known as Gaglioppo, and there is a white wine made in southern Italy called Lacryma Christi del Vesuvio which will be reviewed in a separate post. I have read differing accounts of how the grape got its name. Some sources say it is because the shape of the grape clusters resemble tears (Lacrima is the Latin word for "tears"), but I'm not sure I buy that. All of the pictures of Lacrima grapes I've seen look very similar to any other grape cluster. Joseph Bastianich and David Lynch, in their Vino Italiano, give a more plausible explanation. They say that the grape's skin has a tendency to rupture easily which causes juice to weep out of the grapes and onto the bunch. In any case, Lacrima di Morro is grown in the Marche region of Italy. The Marche is on the eastern coast of Italy, immediately east of Umbria and between Emilia-Romagna and Abruzzo going from north to south. Morro d'Alba is the name of the village where Lacrima is grown, and it is just due west of the port city of Ancona. The region is perhaps best known for its white wines made from the Verdicchio grape, though there are also red wines made from the ubiquitous Sangiovese and Montepulciano. The DOC regulations stipulate that up to 20% of the blend for Lacrima di Morro d'Alba can be made up of Montepulciano or Verdicchio grapes, though most producers make 100% varietal wines. During the wine making process, dried grapes are added after the first racking in a fashion similar to the ripasso wines made in Valpolicella. I recently picked up a bottle of the 2007 Conti di Buscareto Lacrima from Bin Ends for about $15. The wine has a dark, opaque center that is bright purple at the rim. It is inky and intensely saturated. On the nose, it smelled like roses...like a huge room full of roses...like a rose garden hermetically sealed in a room with rose potpourri. There was also some boysenberry jam fruit, but the overwhelming sensation was floral. The wine is full bodied with kind of a thick texture, nice acid and firm but soft tannins. Right out of the bottle, it tasted kind of hollow...all structure with no fruit. After I let it breathe for a bit, though, it filled out. A cautionary tale lurks here: don't rush to judgment about wine after your first few minutes with it; give it some time to fully express itself. There were lots of purple fruits and flowers and not much else. I have in my notes that it tastes like a rosebud dipped in boysenberry jam. Even a few weeks removed from having tasted this wine, all I can really remember about it was the overwhelming sensation of roses. If you're a fan of flowery smells and flavors in your wine, Lacrima may be your new favorite thing. While I found it interesting and enjoyable at times, it was a bit too one-dimensional for my taste and definitely started to wear out its welcome somewhere in the second glass. I have a very hard time trying to think about what kind of food this might go with. Maybe something that smells awful so you can at least use your glass as a kind of air freshener? It would be a good Valentine's Day wine for people that really love roses, I suppose, so maybe chocolate might be interesting here. If anyone has any favorite pairing with this wine, please let me know, as I'd be very curious to hear how this wine worked with different foods. I was able to find a bottle of sparkling Lacrima, and have recently had a chance to try it. I picked up a bottle of the NV Conti di Buscareto Rosé Brut from my friends at Curtis Liquors for about $23. The wine is 100% Lacrima Nera from the same producer and vineyards as the bottling above. In the glass, the wine was a pale salmon pink color. The nose was nicely aromatic with candied strawberry and red berry fruits with a bit of bread dough and toast and just a touch of something floral. On the palate, the wine was light bodied with high acidty and creamy bubbles. There were flavors of strawberries and red berry fruit with pastry crust and yeasty bread dough. It was pretty typical for a traditional method sparkler, but had nice, accessible fruit flavors to go along with the bready, yeasty secondary flavor and aroma characteristics of most sparklers. It wasn't as aggressively floral as the red table wine was, which was really to its benefit here. It also came in a really cool tear-drop shaped bottle which was visually very appealing. For only $23, this was a very good value sparkling wine that would match up with any number of foods. I had it with a seared duck breast and the acid and fruit were very good foils for the richness of the duck. Those looking for a fun and unusual New Year's Eve sparkler will find a lot to like here as well.